“The eleven disciples went to Galilee, to the mountain to which Jesus had ordered them. When they saw him, they worshiped, but they doubted. 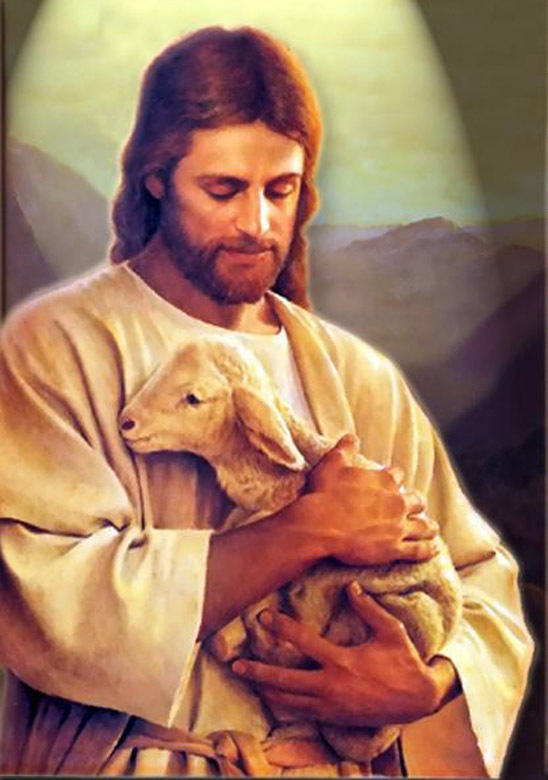 And behold, I am with you always, until the end of the age.”” -Matthew 28:16-20. “If only I knew how to love, to burn and consume oneself in love” – so the 24 year old Giulia Ledóchowska wrote before taking religious vows, novice in the Ursuline convent of Krakow. On the day of the religious profession she took the name ‘Maria Ursula of Jesus’, and the words stated above became the guide lines of her entire life. In her mothers’ family (of Swiss nationality and of the dynasty of the Salis), as well as in her fathers’ (an old Polish family) there were many politicians, military men, ecclesiastics and consecrated people, who were involved in the history of Europe and of the Church. She was raised in a family of numerous brothers and sisters where affectionate and disciplined love was dominant. The first three children, including M. Ursula, chose the consecrated life: Maria Teresa (beatified in 1975) founded the future ‘Society of S. Peter Claver’ and the younger brother Vladimiro became the general Preposito of the Jesuits. 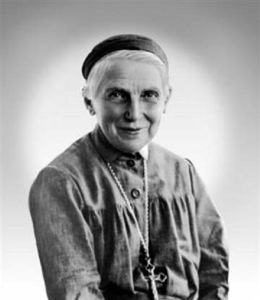 M. Ursula lived in the convent at Krakow for 21 years. Her love for the Lord, her educational talent and sensibility towards the needs of youngsters in the changing social, political and moral conditions of those times put her at the centre of attention. When women earned the right to study in Universities, she succeeded in organising the first boarding-house in Poland for female students where they not only found a safe place to live and study, but also received a solid religious preparation. This passion, together with the blessing of Pope Pio X, gave her the strength to move into the heart of Russia which was hostile towards the Church. When, in civilian dress, she left with another Sister for Petersburg (where religious life was prohibited) she did not know that she was headed towards an unknown destination and that the Holy Spirit would lead her upon roads she had not foreseen. In Petersburg the Mother with the steadily growing community of nuns (soon established as an autonomous structure of the Ursulines) lived secretly, and even though under constant surveillance by the secret police, they brought forward an intense educational and religious project which was also directed towards the encouragement of relationships between Polish and Russians. When war broke out in 1914, M. Ursula had to leave Russia. She headed for Stockholm and during her Scandinavian travels (Sweden, Denmark, Norway) her activity concentrated not only on education, but also on the life of the local Church, on giving aid to the war victims and on ecumenical work. The house where she lived with her nuns became a point of reference for people of different political and religious orientation. Her strong love for her country was the same as her tolerance towards ‘diversity’ and towards others. Once asked to speak of her political orientation, she promptly answered ‘My policy is love’. 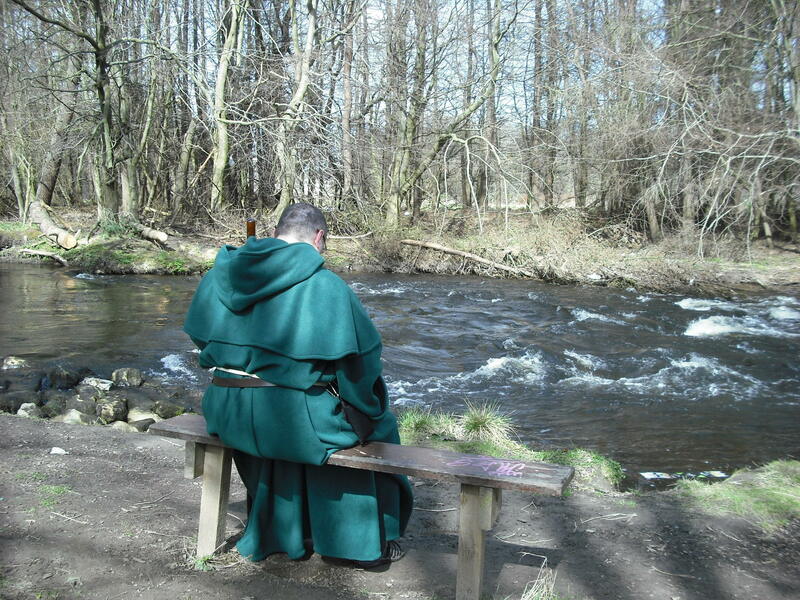 The spirituality of the congregation is concentrated on the contemplation of the salvific love of Christ and participation in His mission by means of educational projects and service to others, particularly to the suffering, the lonely and the abandoned who were searching for the meaning of life. M. Ursula educated her sisters to love God above everything else and to find God in every human being and in all Creation. She gave a particularly credible testimony to the personal bond with Christ and to being an efficient instrument of both Evangelical and educational influence by means of her smile and serenity of soul. Her humility and capacity to live the ordinary everyday routine as a privileged road towards holiness made her a clear example of this life style. The congregation developed quickly. The communities of the Ursuline nuns in Poland and on the eastern frontiers of the country which were poor, multinational and multi-confessional were established. In 1928 the Generalate was established in Rome along with a boarding-house for girls who were economically less well-off, in order to give them the possibility to come into contact with the spiritual and religious richness of the heart of the Church and of European civilisation. The Sisters began to work in the poor suburbs of Rome. In 1930 the nuns accompanied girls in search of work and established themselves in France. Wherever possible M.Ursula founded educational and instructional work centres. She sent the nuns to Catechise and to work in the poor parts of town. She wrote books and articles for children and youngsters. She initiated and sustained ecclesiastical organisations for children (Eucharistic Movement), for youngsters and for women. She actively participated in the life of the Church and State thus receiving great acknowledgement and decorations from both the State and the Church. When her laborious and not easy life came to an end in Rome on May 29, 1939, people said of her: “She died a saint”. 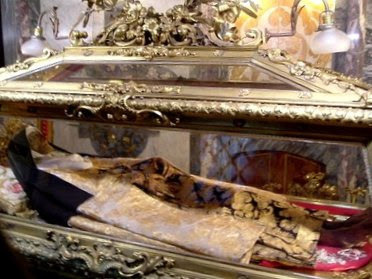 John Paul II beatified M. Ursula on June 20, 1983 in Poznan and canonized her on May 18, 2003 at Rome. “Jesus entered Jerusalem and went into the temple area. He looked around at everything and, since it was already late, went out to Bethany with the Twelve. Seeing from a distance a fig tree in leaf, he went over to see if he could find anything on it. When he reached it he found nothing but leaves; it was not the time for figs. 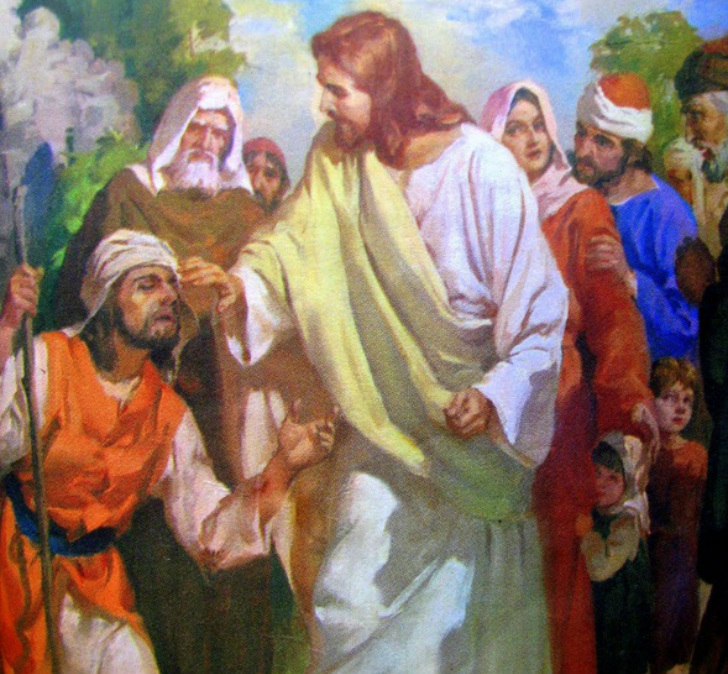 They came to Jerusalem, and on entering the temple area he began to drive out those selling and buying there. He overturned the tables of the money changers and the seats of those who were selling doves. The chief priests and the scribes came to hear of it and were seeking a way to put him to death, yet they feared him because the whole crowd was astonished at his teaching. 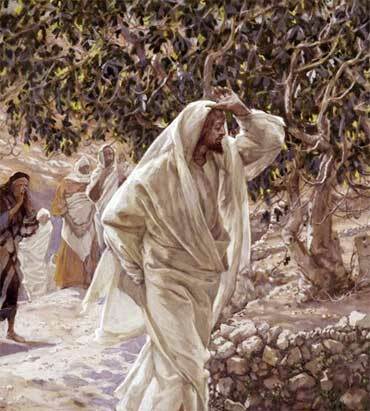 Early in the morning, as they were walking along, they saw the fig tree withered to its roots. Amen, I say to you, whoever says to this mountain, ‘Be lifted up and thrown into the sea,’ and does not doubt in his heart but believes that what he says will happen, it shall be done for him. Therefore I tell you, all that you ask for in prayer, believe that you will receive it and it shall be yours. When you stand to pray, forgive anyone against whom you have a grievance, so that your heavenly Father may in turn forgive you your transgressions.”” -Mark 11:11-26. ….A FEW WORDS ABOUT …..
Oh yes, and quite suddenly sometimes as well. Sometimes in vicious and messy ways…and that it is this very fact that WHY I am doing what I am doing. The reason I am bringing THIS particular subject up is because it is an election year…(WHAT?!?!?) …seriously…people seem to get all up in arms about WHO to elect…WHO will make the best politician/president/prime minister etc…I say this: Why worry about a prime minister, or president when I already have a KING..? See, I know how important some people feel an elected official is. I know they worry about their taxes, lifestyles, savings accounts, futures, schools, etc…it is not lost on me. I too used to worry about these things. Here is the point I am driving at: FAITH. See, to me faith is EVERYTHING. No, I do not mean in a “HEY HALLELUJAH!” kind of way..I mean in a “It governs every aspect of my life” kind of way. My faith tells me that no matter WHO is elected, no matter WHAT kind of lies/promises they say, I have someone who DOES keep His promises no matter what. “My zeal has consumed me, Because my adversaries have forgotten Your words. Faith is not some vase you take out and put on the table when company is coming. Faith is not a fad (like wearing a cross is right now) to be discarded when the next season’s fashions come in…faith is a LIFESTYLE…..ALL ENCOMPASSING (or at least, it SHOULD be if you are doing it right). Faith is that belief inside of you that there is someone/something greater than you watching over you, guiding your heart to do the right thing. For some faith is a Sunday Church thing, and that is okay..FOR THEM…it fills their cup, so it is not for the likes of ME to judge them for it. For others faith is a passive thing…like…”yeah, I eat a bagel on Friday…so I am Jewish”. Faith, for me, dictates my every waking hour, thought, motion, and reaction to whatever this world throws at me. It’s moral teachings guide my interaction with everyone I encounter, every place I enter or leave, every thought process as to the day itself. THIS is MY faith….I mean, some may say “Yeah, but that is you”…true. THIS IS ME. Do you think I suddenly just one day said “You know what? I think I will give up EVERYTHING I own, receive NO pay, put on this collar and just start a’preachin”..??? No…I was not always a Christian…and believe you me, it took SERIOUS thoughts as to the ramifications of what it would mean before I put on the collar. MY faith is no bigger than a mustard seed….yep…that small…and yet, I found peace, love, joy, and riches BEYOND what this mortal world can offer. Here is the kicker: I GET PAID EVERY DAY. I see it in the smiles, laughs, and tearful consolations from my Parish every single day…”Heaven”, for me, is a BONUS…sort of a “Retirement package” if I do my job RIGHT. Now, some out there are ‘offended’ by my faith…how can that be??? I mean, it is not THEIR faith, right? I have not said anything degrading, or demeaning about THEIR faith…so…why is MINE suddenly not acceptable? Science explains it all…eh? Well, how many scientists HAVE died and come back with these so-called ‘revelations’ of their theory? Have they journeyed to the ‘other side’ and come back saying “oh yeah..been there..done that…nothing to see here folks”??? According to MY faith I have a FIRST HAND ACCOUNT of what happens…oh yes..my Master (Jesus, for those of you who cannot guess who my ‘Master’ is) tells me in His words EXACTLY what awaits me should I prove worthy and stay the course. But I HAVE felt Him…in my Heart…in my soul…in the smiles and thanks of those I help. Okay, so…if what they say is true, and science IS explaining ‘everything’ that happens to make a human a human, and where we go ‘after’…Have they any CONCRETE proof that what they propose is, indeed, FACT? No..it is based on conjecture…and they HOPE they can prove it. See, I could say “I have been to Alpha Centauri” and without any supporting FACTS then everyone will scoff and laugh, and poke fun at, and belittle me…right? So..how come no one is scoffing at them? See, MY FAITH tells me…not YOUR FAITH..not THEIR FAITH..MINE…MINE ALONE..FOR ME…not for everyone else (or the weak of heart 😀 ) that when I DO eventually die, I KNOW what happens to me…it is PROMISED. I may not get to (what my faith calls) Heaven, but I WILL have a chance to at east HAVE THE HOPE OF IT…because my God PROMISED me I would. Therein lay the difference, boys and girls, between SCIENCE and FAITH. My God promised in His word that if I follow His laws, obey His decrees, and live my life in accordance to the guidelines He dictated, then I would one day (hopefully) NEVER have to worry about things like money, or food, or health…so that kind of trumps elected officials ‘promises’ by a LONG mile..
EVERYTHING in this world is transient…it will either be lost, stolen, broken, sold… they say “You cannot take it with you” for a REASON. IT MEANS NOTHING ONCE YOU ARE GONE. So..there you are…lots of ‘toys’…fat bank account…trendy wardrobe…the right everything…and then, *BOOM*, the 5 O’Clock crosstown bus totals your new Porche with you in it…and it is all gone. The scientists never told you about THAT, did they. They never told you that the things you leave behind are just that…THINGS. So…why am I NOT afraid of dying? Because, that is my FAITH. In his world of shifting beliefs, and scary people who like to kill in the name of those beliefs, I would not change my belief even if threatened with death. I would die for my belief as surely as I would die to save a life …as surely as a fireman would rush in to a burning building to rescue a child, or as a police officer would rush into traffic to save a puppy. Can any politician or scientist promise you that? My faith, should I die suddenly, SHOWS me what happens after I am gone…people will shed a tear for me…people will mourn the loss of me.DECADES from now people will be smiling at the jokes I told, and their lives will be easier because of the message I have gently pressed into their hearts…but those who are of like minded faith know that one day they will see me AGAIN and will be able to wipe those tears off their heart. If you go by the latest trend in beliefs, then these people without any faith whatsoever will MAYBE shed a tear, post a message on facebook, and 10 years from now will only PASSIVELY remember you. True, I ‘preach’ on occasion…true, I DO wear my cross/crucifix proudly displayed …(To me it is more a badge of office than something to get up in arms about…like a police badge is to a police worker, or crown to a royal)…but does that make me wrong for having faith in something YOU do not believe in? People say “It does not give you the right to shove your religion down our throats”..(that seems to be their battle cry lately)…does YOU telling me how ‘wrong’ I am, or how ‘There is no God’ make YOU right? No…obviously…because YOU are still scoffing at ME and those like me…loudly…publicly…and, if I may use YOUR choice words…”Shoving YOUR faith down OUR throats”. I am of the mind “Each to their own, and the truth that lay therein”…I cannot force someone to believe in my God..nor will I… but I also do not expect you to tell me to ‘shut your mouth’ every time I feel my faith inside of me MOVE me to help another. This is what separates the people of faith (WHATEVER FAITH) from those who believe in NOTHING. The plain and simple fact that I am WILLING to help another without thought of payment given or received. My faith shows me my morals…so that I can say (even if my faith is wrong in the end) that while I was here, I did all I could to help people get through THEIR lives with as little negative impact as possible…that I cared enough while here to DO something about the pain I see flourishing in this world…without counting the cost in dollars and cents. ANY idiot can help an old lady across a street…but how many have the courage to shoulder her bags, pick her up, and carry her home? THAT, ladies and gents, is the difference between faith, and not having faith. So, I leave you with a quote…one I think applies…and applies well…. 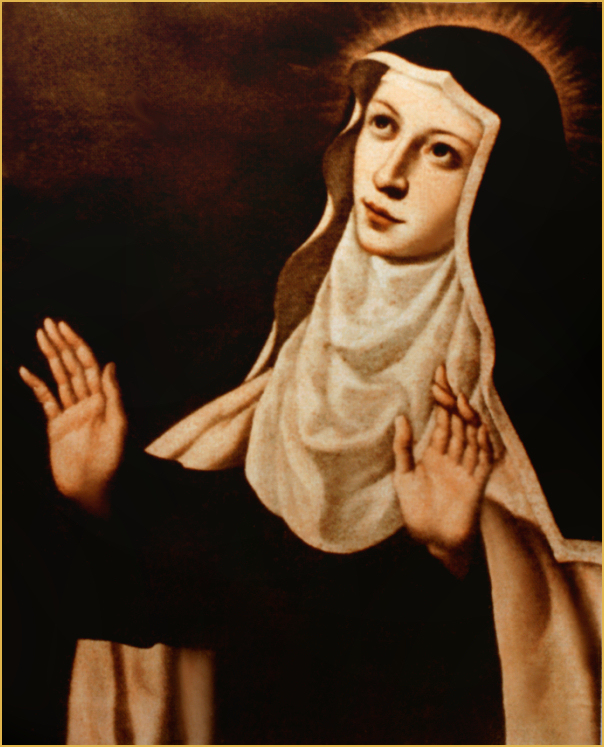 Saint Mary Magdalene of Pazzi was the only daughter of the illustrious Camille de Pazzi, related to the Medicis of Florence. She was born in the year 1566, and was baptized with the name of Catherine. As a child she loved to go into solitary places to enter into prayer with God, who revealed Himself to her from her tender years without the aid of teachers, as her Creator, Redeemer and Sanctifier. She made a crown of thorns one day, and wore it for an entire night, enduring great pain. She received her First Communion at ten years of age; at twelve years, she made a vow of virginity and took great pleasure in teaching Christian doctrine to poor children. Her father, not knowing of her vow, wished to give her in marriage, but she persuaded him to allow her to become a religious, and chose the Carmelites, because there the nuns received Communion frequently. She entered in the year of the death of Saint Teresa of Avila, 1582, at the age of sixteen. It had been more difficult to obtain her mother’s consent; while she was a novice, her mother sent a portrait artist to the convent, with instructions that her daughter be portrayed in lay clothing. The Sisters complied with her request, and the portrait can still be seen in the Convent. She became professed at eighteen years of age in the Carmelite monastery of Santa Maria degli Angeli in Florence, May 17, 1584, Feast of the Holy Trinity. She changed her name of Catherine to that of Mary Magdalene on becoming a nun, and took as her motto, Either suffer or die. Her life thereafter was one of penance for sins not her own, and of love for Our Lord, who tried her in ways fearful and strange. She was obedient, observant of the Rule, humble and mortified, and had great reverence for the religious life. One day, when she seemed to be at the last hour of her life, she rose from her sickbed and hastened everywhere throughout the convent, saying during her ecstasy, O Love! O Love! No one knows You, no one knows You, no one loves You! For five years she was tormented by demons with fearful temptations of pride, sensuality, gluttony, despair, blasphemy; they became so violent that she said, I do not know whether I am a reasonable creature or one without reason; I see nothing in myself but a little good will never to offend the divine Majesty. God raised her to elevated states of prayer and gave her rare gifts, enabling her to read the thoughts of her novices, and filling her with wisdom to direct them. She was twice chosen mistress of novices, and then made Superior. On her deathbed she asked her Sisters to love only Our Lord Jesus Christ, to place all hope in Him, and be perpetually ardent with desire to suffer for love of Him. God took her to Himself on May 15, 1607. Jesus answered him, “Why do you call me good? No one is good but God alone. At that statement his face fell, and he went away sad, for he had many possessions. So Jesus again said to them in reply, “Children, how hard it is to enter the kingdom of God! Jesus looked at them and said, “For human beings it is impossible, but not for God. All things are possible for God.”” -Mark 10:17-27. Born in the diocese of Besançon in November of 1765, Saint Joan Antide lost her pious mother when she was 16 years old, and for several years took charge of the household and her family of younger brothers and sisters. After many hesitations, her father permitted her to enter the Congregation of the Daughters of Charity of Saint Vincent de Paul in Paris in 1787. She worked in various hospitals caring for the sick, until the Revolution in France brought about the dispersion of the Congregations. She was ordered to abandon her religious habit in 1792, but refused and fled; she was struck so violently that she remained for eight months between life and death. In 1793 she returned from Paris to her native village of Sancey on foot, begging her bread; there she opened a school and cared for the sick. Times were growing ever more difficult, and Sister Thouret again had to depart, this time journeying to Switzerland, where she assisted a French priest who had gone into exile with a few members of his little community. Again she cared for the sick; but the entire group was forced to move once again and go to Germany. After two years she went to the village of Landeron in Switzerland. There she met the Vicar General of Besançon, and he asked her to found a school and a hospital in that city. In 1799 the foreseen school was opened at Besançon, and with a few novices the Foundress began work in France again. She wrote a rule for her Daughters of Saint Vincent de Paul, as she called them to distinguish them from the larger group, the Sisters of Charity, of whom they were independent. The Congregation’s members multiplied, as did their works; in 1802 they were given the direction of a house of detention at Bellevaux, sheltering more than 500 prisoners. They opened schools in eastern France and Switzerland. The foundress was invited to go to Naples to take on the direction of a hospital and initiate other works; she accepted this invitation in 1810. She remained in Naples until 1818, obtaining from Pope Pius VII the approval of her Institute in 1819. Problems arising in Besançon caused her many sufferings, when the new bishop there desired to maintain the Community under diocesan authority. Saint Joan Antide died in Naples in 1826, having left for her Sisters many examples of heroic virtue. She was canonized in 1934 by Pope Pius XI, who invited the French nation to exult with joy on seeing its crown enriched by a new flower of holiness.